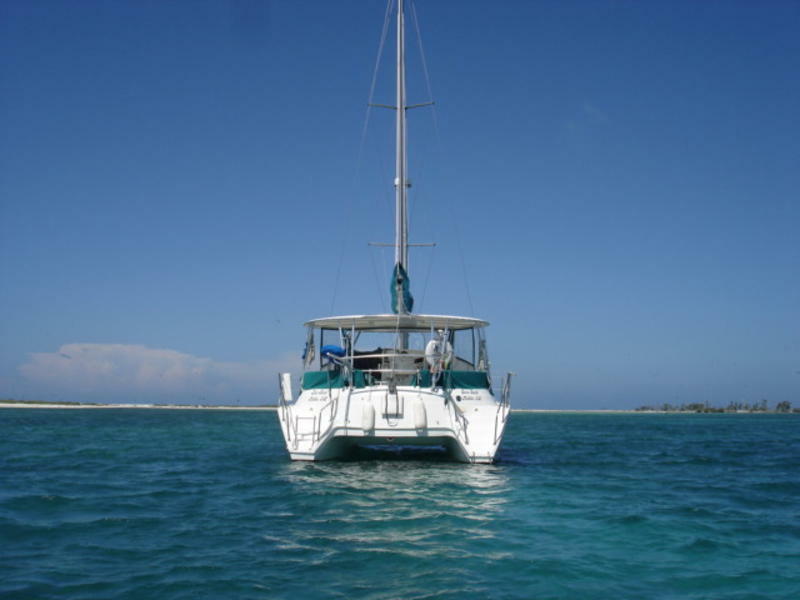 Very comfortable and meticulously maintained two owner catamaran. 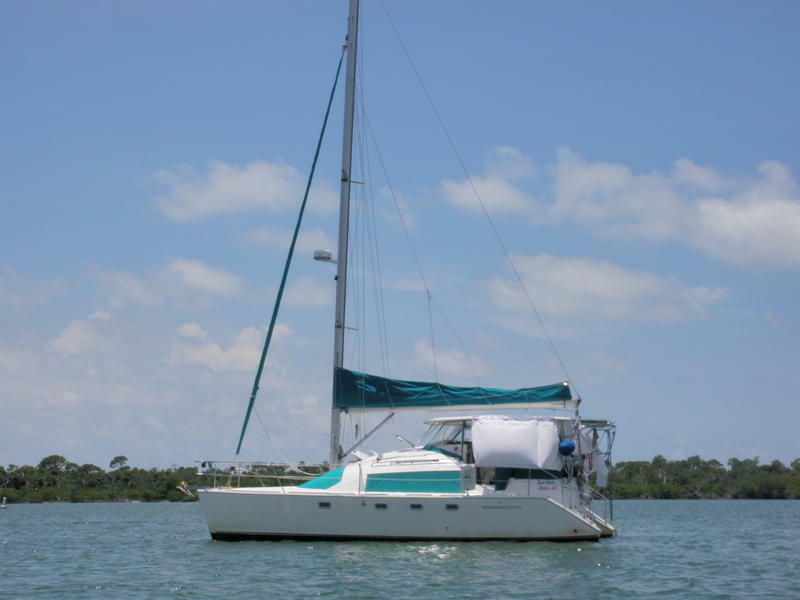 Her owners continue to keep her in great shape as she waits for new owners to love her as much as we have. 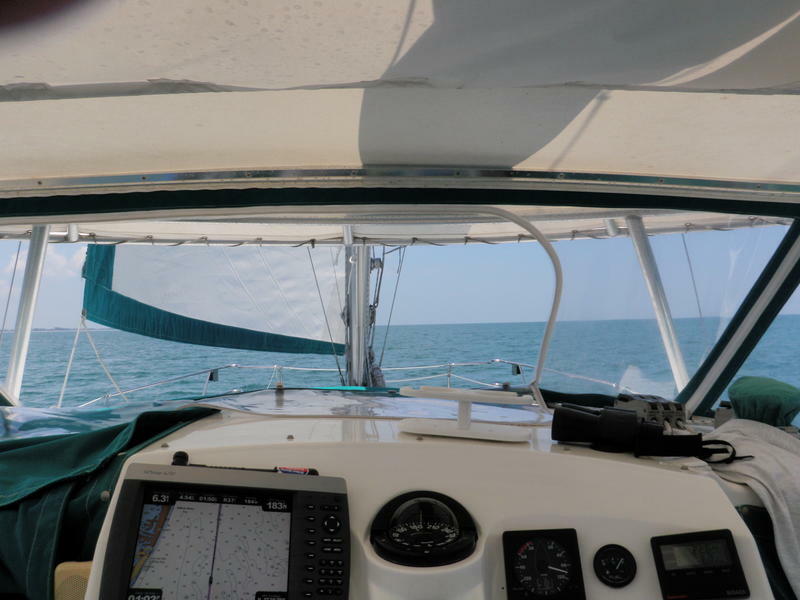 Unique and beautifully designed catamaran that turns heads everywhere we go. 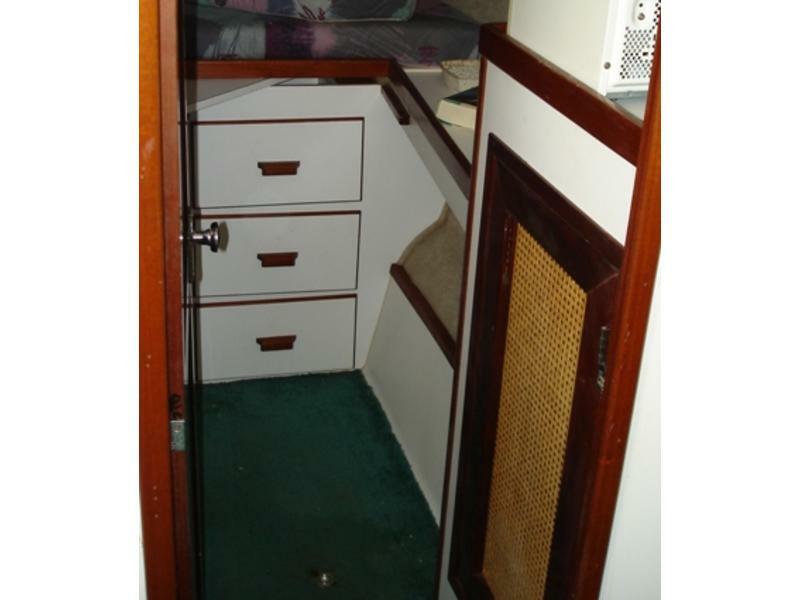 Two cabins forward in each hull with double berths expandable to king size each with hanging locker and three drawers for storage. 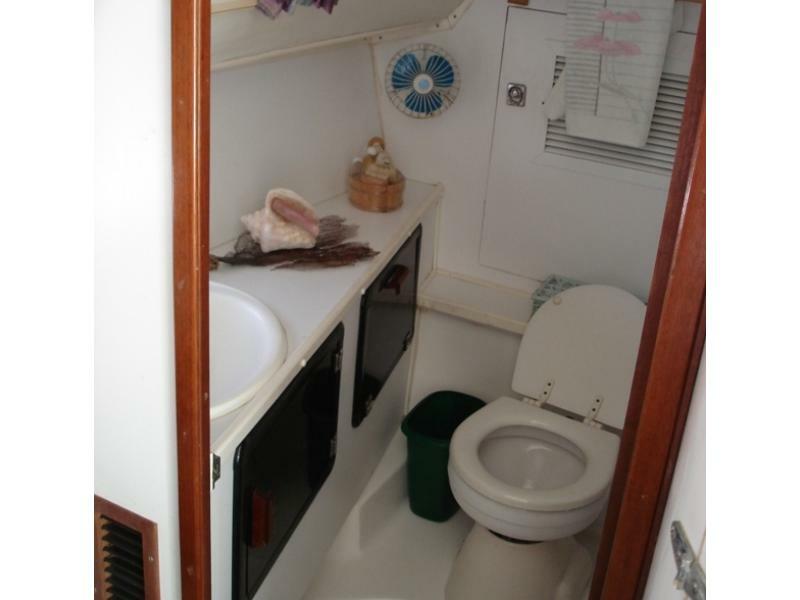 Two head aft in each hull with electric Raritan toilets. 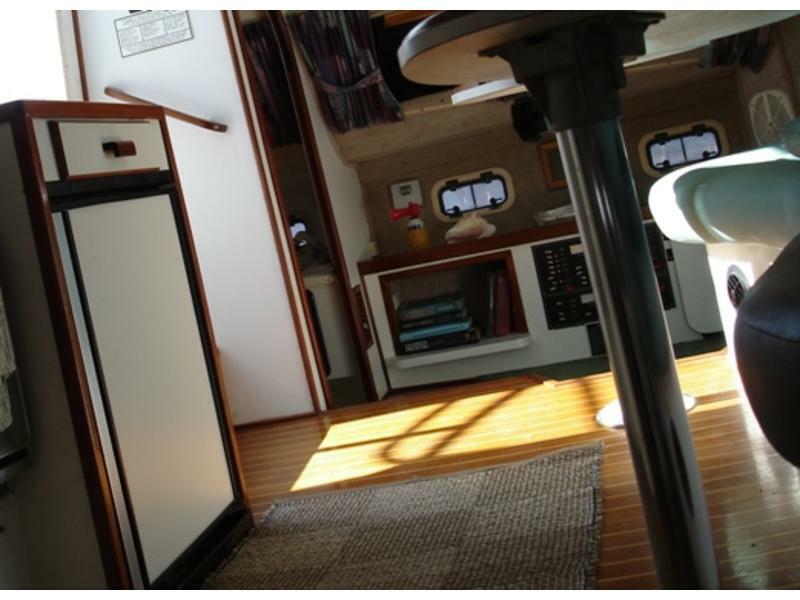 Open galley and saloon across center of boat. 6 4 headroom throughout. 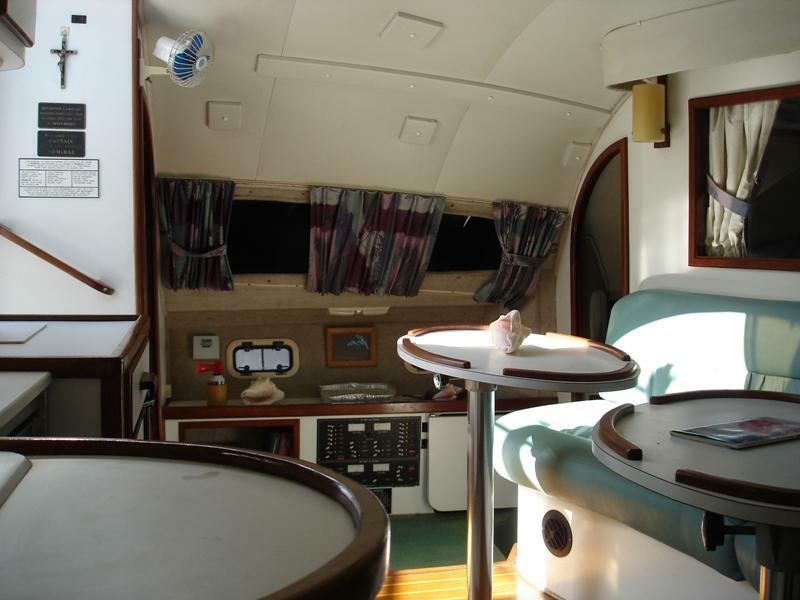 Cockpit perfect for entertaining and watching beautiful sunsets. 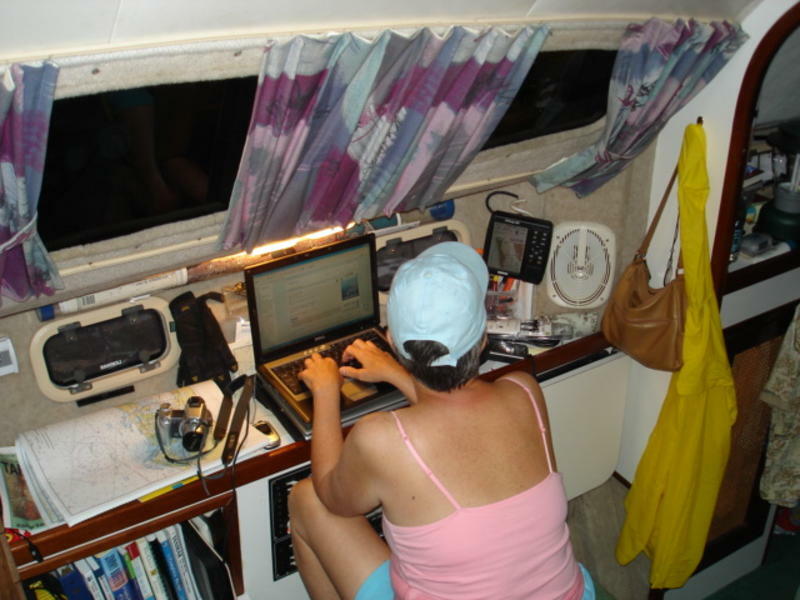 No ladderssteps throughout making moving about easy even while underway. 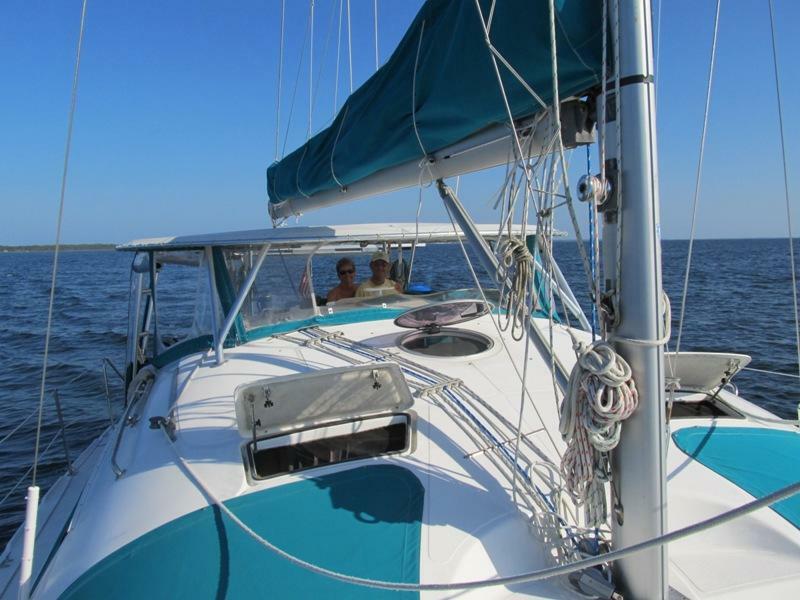 30 keel draft allows stability and perfect for island hopping. Owners are ready for an offer. 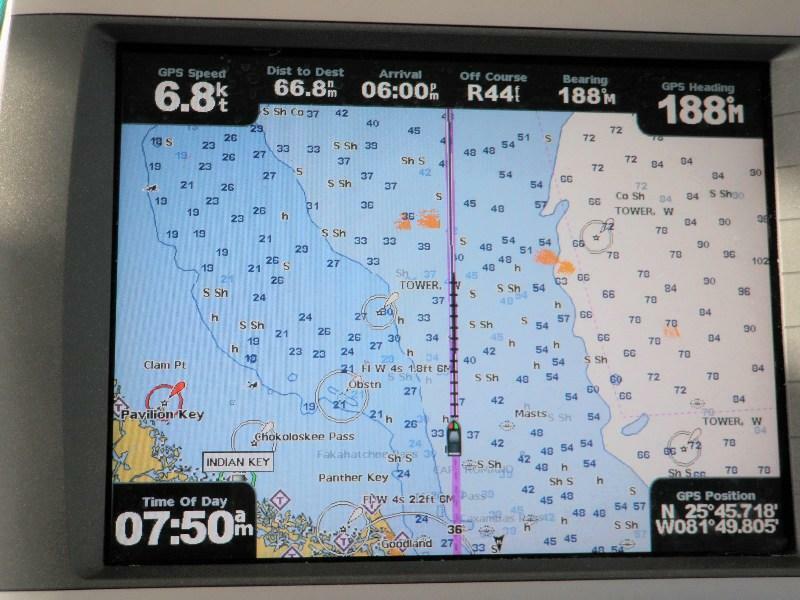 ELECTRONICS—-Garmin 4210 GPS2012, Garmin AIS receiver2011, Garmin GMR 18HD Radar at Helm2008, Garmin 182 GPS at nav station2003, Raymarine Smart WheelPilot X5with wireless remote control2010, AutoHelm ST50 Wind & Depth1998, Standard Horizon Eclipse VHF Radio 1998, Pyle stereo, iPod read with USB and SD card port2009, Toshiba 19 HD TV with DVD 2009, TV Antennae atop mast. AIR CONDITIONERS—-1 Mermaid 12,000 BTU Reverse Cycle AC/Heat 1998, 1 Mermaid 12,000 BTU Reverse Cycle AC/Heat with humidity control2009. 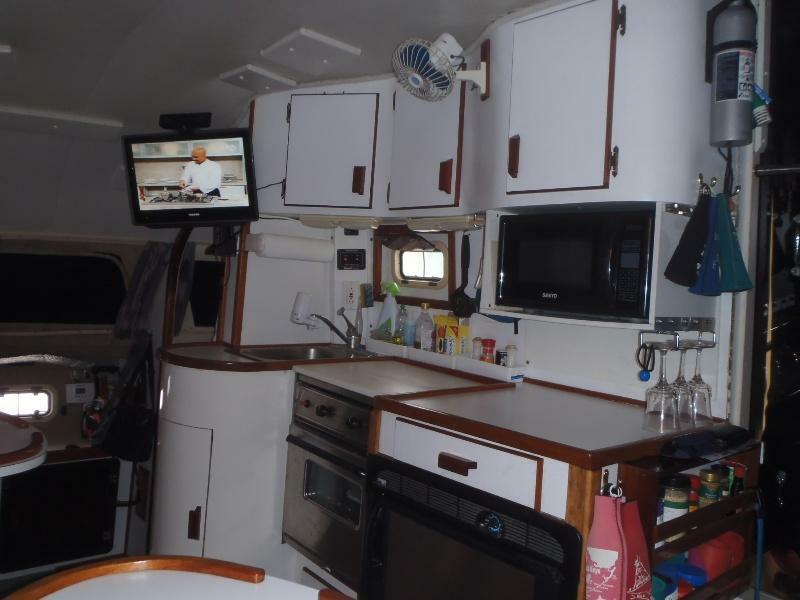 GALLEY—–Norcold Refrigerator DE0(# removed), Hillerange 2 burner stove with oven1998, Microwave, 10 lb propane tank. HEADS——Crown head II electric heads–2,Pressurized fresh water with 2 30- gallon tanks, 2 20-gallon holding tanks, Fresh water Deck shower with hot and cold, Kuuma 6 gallon water heater, electric and heat exchanger. 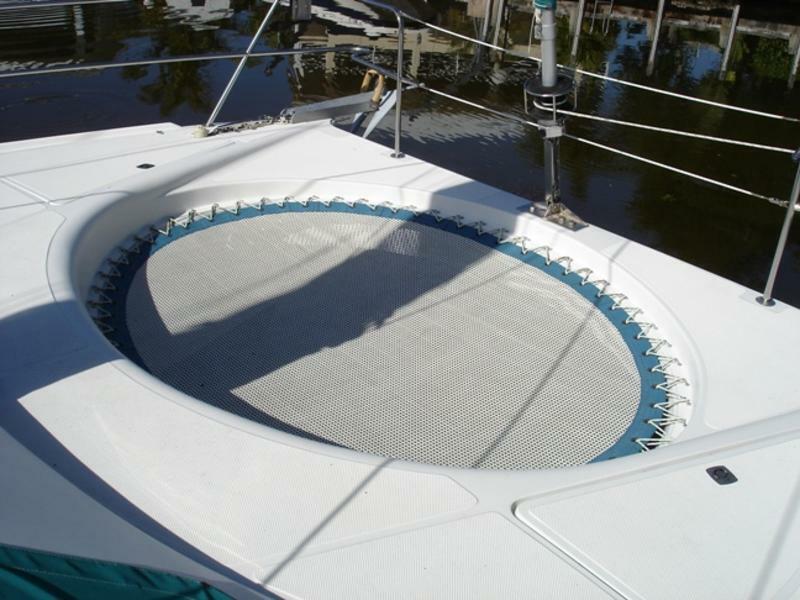 DECK——Screens for all hatches, Six Type 2 life jackets in storage pack,Lifesling 2 Overboard Rescue System,1 Danforth anchor, 1 Plow anchor, stainless steel, Mack Pack sail cover, Sail and jib restitched 2009. 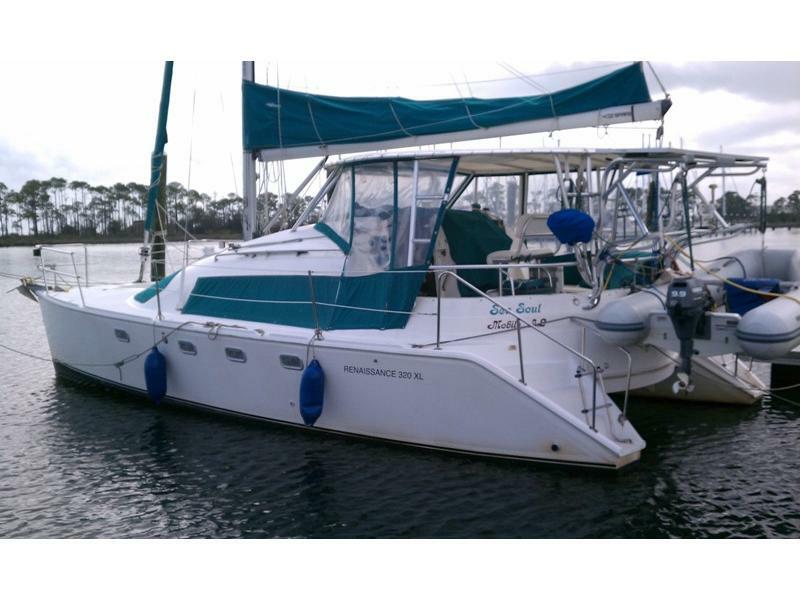 ENGINES—–2 18hp 2GM20 Yanmar diesels 1600 hours each, Shaft driven with dripless shaft seals,2 15 gallon fuel tanks, Assorted spare parts. 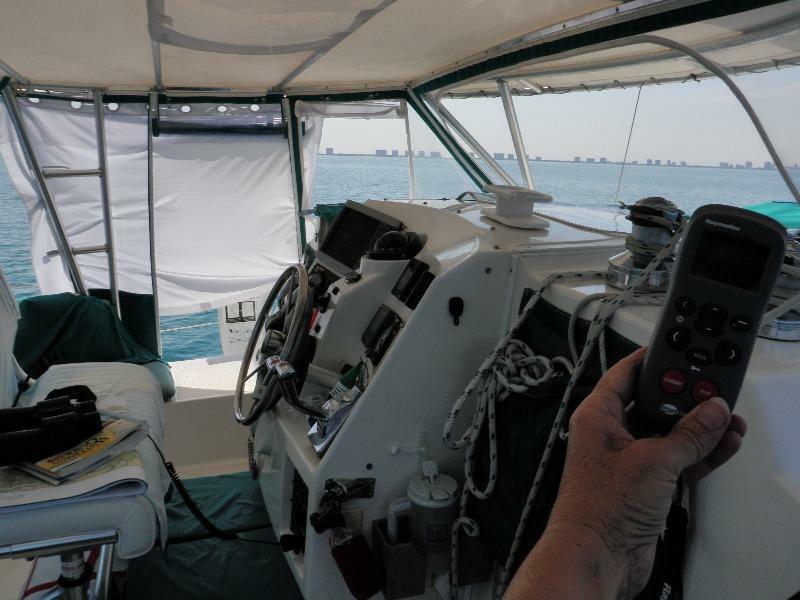 ELECTRIC POWER—–2 KYOCERA 130 watt solar panels 2009,Blue Sky Energy Controller2009, 1 starting battery, 27 series deep cycle, 4 house batteries, 27 series deep cycle,30 amp 3-bank battery charger, West Marine 1000 watt Inverter2011,2 30amp shore power cords, 50 to twin 30 Y Adapter, 6 cabin fans, LED masthead light, LED bulbs in all cabin fixtures. New bottom paint Feb. 2012. 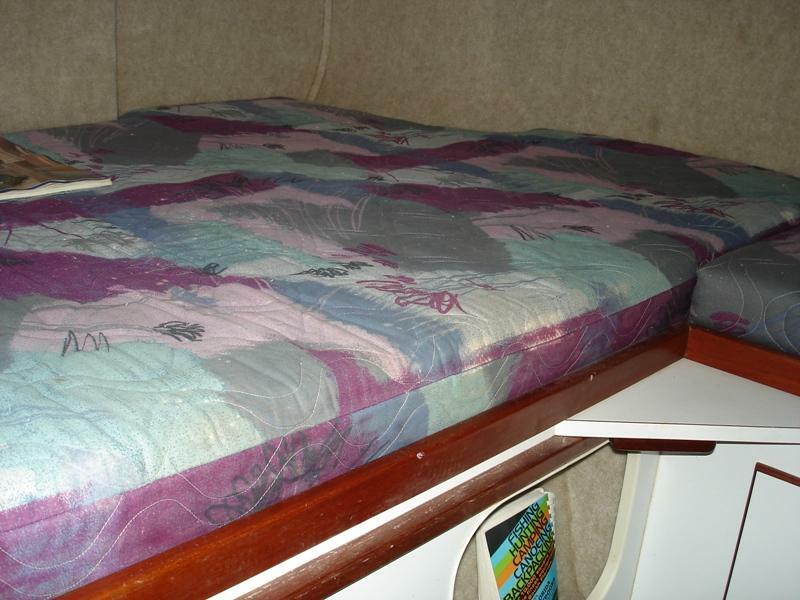 9′ AB Dinghy 2011, 9.9 Yamaha 4 stroke engine 2008.